Paper chains are the ultimate festive party essential! No walls or halls are complete without Christmas paper chains and bunting hanging from all corners of the room! As well as being fun and very easy to make, these fun festive Christmas paper chains are guaranteed to add some colour to the occasion. They’re also ideal for use around the school, classroom, village hall or any other venue! 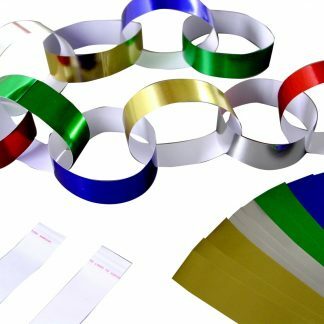 Choose from our Christmas jumper-style design paper chain, a metallic assorted colour paper chain or our standard paper chain, ideal not just for Christmas but other special occasions too! 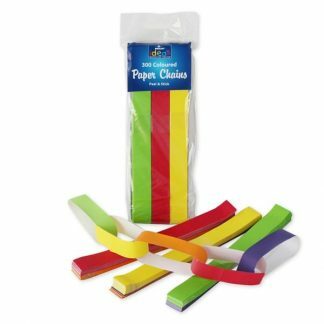 Our wholesale paper chains come in a range of sizes and pack quantities; check out the full range below.